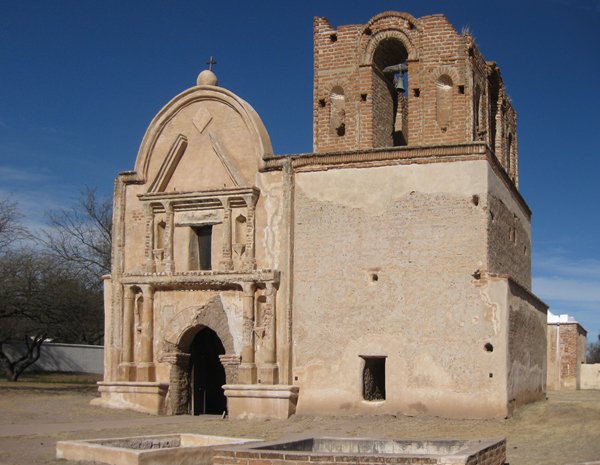 The Mission is on the Juan Batista de Anza National Historic Trail – we had visited here last year but did not hike any of the trail. 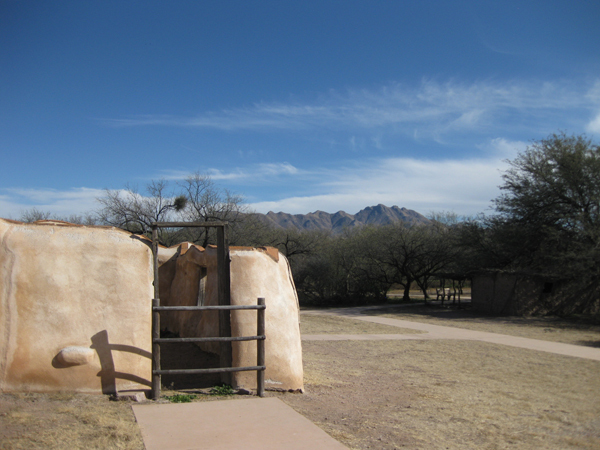 This year after our trip to Tubac and hiking some of the trail there, we focused on this part of the history. 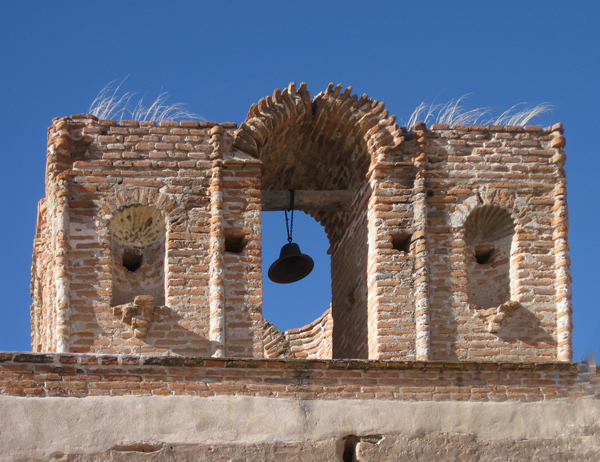 Such a beautiful detail against a pure blue sky. 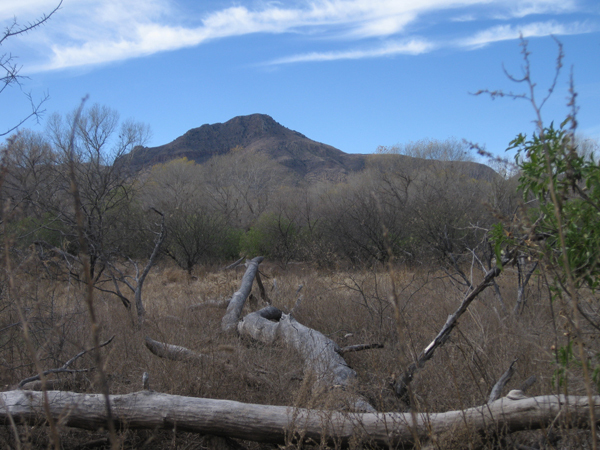 The Anza trail is between here and the mountains. It enters the USA just south of here around Nogales and goes all the way to San Francisco as he set up the Mission there. There is an Anza Borrega State Park South of Pam Springs we visited. 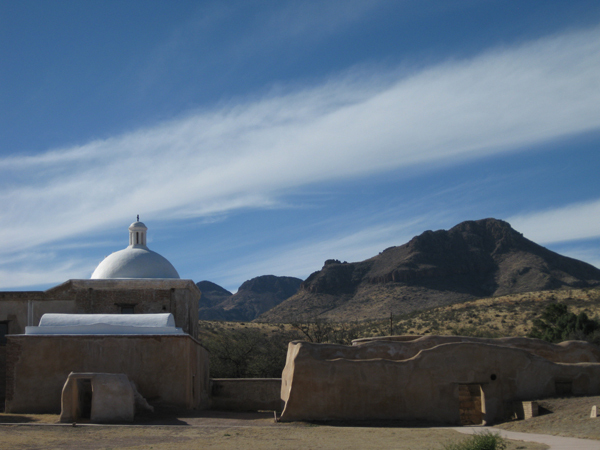 Another view with an interesting sky against the Tumacacori mountains. 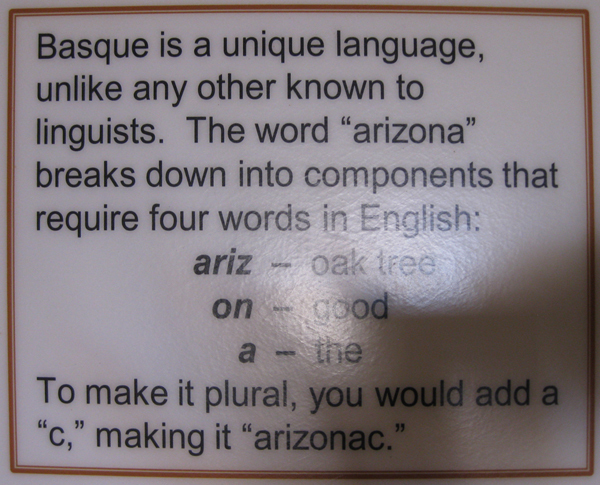 I did not know the origins of the name Arizona! The good oak tree is hard to find. 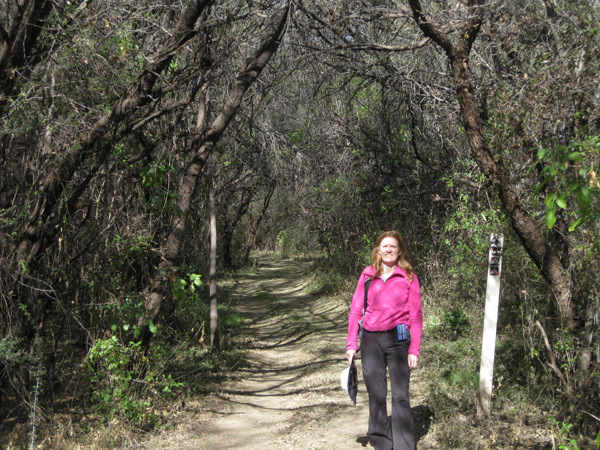 Here is the section of the Anza trail behind the Mission’s orchard. 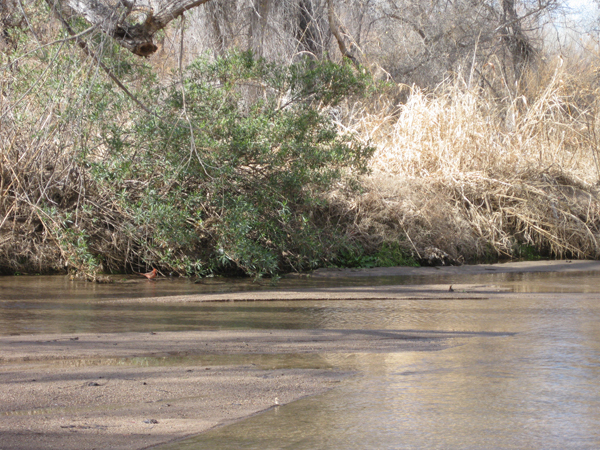 A large flood plain as the river changes depending on the water flow. We chose this spot to have our picnic lunch. The water is moving quite rapidly and we watched the sandy bottom shift its ripples. 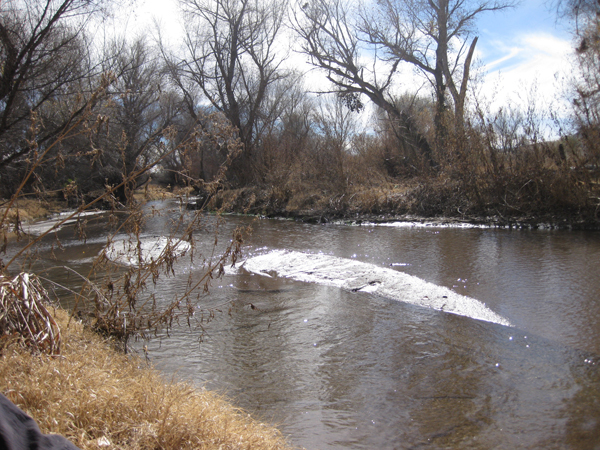 These riparian ways are really known for their birding opportunities. We hear a lot of different songs but they are hard to capture with our camera – however this lovely one kept us company during our rest. A huge flock of raven circled overhead making quite a racket – wonder what all that was about!